While I was clicking through the images of the Erdem show on Style.com, I stumbled across a dress I thought I had seen before. It only took a short while to recall where, as it was only a few days earlier that I had seen it - or, as it turns out, a very similar dress - at Prabal Gurung. Apparently Coca-Cola isn't the only thing inspiring multiple designers this spring. 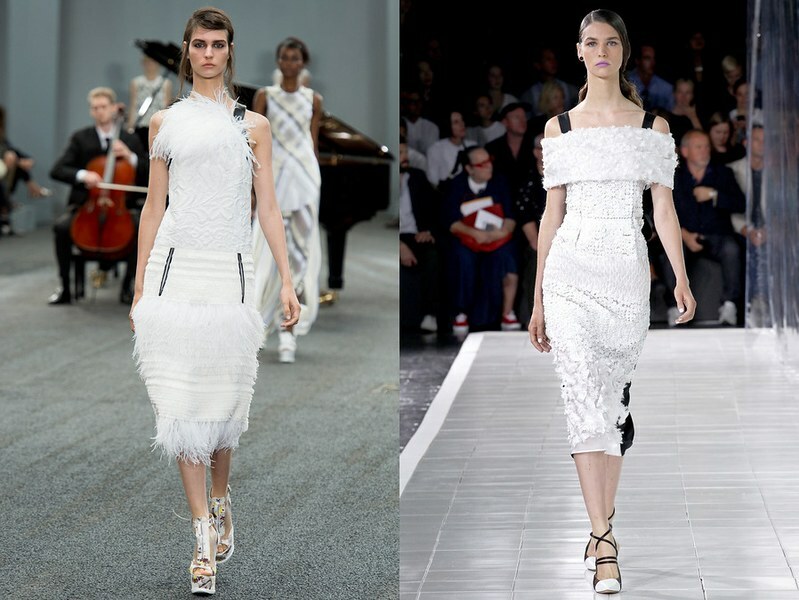 The black and white dress has shown up on several runways, and were it not for the shoes and slightly different (but still slicked back I must note) hair, I would say these two were from the same collection.